Today, CAA introduces a series of podcasts devoted to professional-development topics for artists. Evolving from the National Professional-Development Workshops for Artists and now produced in tandem with them, the series will continue throughout the year, with new audio to be added on a regular basis. While the initial focus is on artists, CAA hopes to develop podcasts for art historians, curators, nonprofit art professionals, and other constituencies in the future. To download an MP3 file, please visit the Podcasts section and right click or control click on the podcast icon or title. To stream the audio, click the podcast icon or title; the audio will open in a new tab or window. CAA is committed to assisting its members through a variety of means and at various stages in their careers. The podcasts join CAA’s other Career Services programs, which include workshops and mentoring sessions for artists and scholars at the Annual Conference, fellowships for graduate students, professional Standards and Guidelines, and the Online Career Center. Graduate students currently enrolled in MFA programs at twenty schools within one hundred miles of New York will participate in the College Art Association New York Area MFA Exhibition, on view February 9–April 9, 2011, at the spacious Hunter College/Times Square Gallery. Held concurrently with the 99th Annual Conference and Centennial Kickoff in New York, the exhibition marks the seventh time that Hunter College will host this expansive survey exhibition. An opening reception for the artists, their professors, and CAA conference attendees will take place on Friday evening, February 11, 6:00–9:00 PM. Free and open to the public, the Hunter College/Times Square Gallery is located at 450 West 41st Street, between Ninth and Tenth Avenues—a short walk or cab ride from the Hilton New York. Regular gallery hours are Tuesday–Saturday, 1:00–6:00 PM. CAA is also sponsoring the College Art Association Regional BFA Exhibition, which opens on the same evening at the New York Center for Art and Media Studies (NYCAMS). RSVP to the exhibition on Facebook. Participating institutions are: Bard College, Milton Avery Graduate School of the Arts; Long Island University, C.W. Post Campus; Montclair State University; New Jersey City University; New York Academy of Art; Parsons the New School for Design; Pratt Institute; Rutgers University, Mason Gross School of the Arts; School of Visual Arts; Temple University, Tyler School of Art; University of Connecticut, Storrs; and Yale University, Yale School of Art. In addition, five art departments in the City University of New York system are participating: Brooklyn College; City College of New York; Hunter College; Herbert H. Lehman College; and Queens College. Two art departments and one school in the State University of New York system are also sending artists: Purchase College, School of Art and Design; State University of New York, New Paltz; and Stony Brook University. The Hunter MFA CAA Curatorial Committee comprises three MA students in the art-history program—Sophia Marisa Lucas, Valentina Spalten, and Annie Wischmeyer—and three MFA alumni who are adjunct faculty in the Department of Art: Selena Kimball, Eric Lee, and Nicole Tschampel. On view at Hunter’s second space, the Bertha and Karl Leubsdorf Art Gallery, is Objects of Devotion and Desire: Medieval Relic to Contemporary Art, organized by Cynthia Hahn, professor of art history at Hunter, with the assistance of MA and MFA students from Hunter and PhD students from the Graduate Center. The exhibition sets up a dialogue between five medieval reliquaries from the Metropolitan Museum of Art and works by postwar artists such as Christian Boltanski, Hannah Wilke, and Joseph Beuys, and by contemporary practitioners Gayil Nalls, Nate Larson, and Jeffrey Mongrain, among others. Hahn also includes examples of early photography in the mix. The Leubsdorf Gallery is located in the West Lobby at Hunter College, on the southwest corner of East 68th Street and Lexington Avenue; no admission fee is required. The exhibition dates are January 27–April 30, 2011. The VIP Art Fair, the first-ever international contemporary art fair that takes place exclusively online, offers CAA members a complimentary VIP Pass for access to the event. The fair, which starts tomorrow and continues through January 30, 2011, features hundreds of works of art for sale by 139 galleries from thirty countries. Galleries have constructed “booths,” set up to resemble those in a traditional brick-and-mortar fair, that are presented in an easy-to-navigate digital platform. The roster includes the fair’s founding members—among them James Cohan, David Zwirner, Hauser and Wirth, Gagosian, Sadie Coles, and White Cube—and other blue-chip dealers. Smaller galleries that represent emerging and midcareer artists, such as Winkleman, Johann König, and Lisa Cooley, have also been invited to participate. Some galleries will focus on the work of one artist. The VIP Art Fair’s organizers invite visitors to contribute to the experience. Curators, critics, professors, artists, and other interested individuals can create virtual tours, both public and private, which they can then share with other fair attendees. Similar to making a playlist in iTunes, the tours allow participants to highlight their favorite works and provide a path with which to navigate the fair—essentially curating an exhibition of the art on sale during the event. The VIP pass contains a unique code (U98B7DE) that you must enter when signing up. After completing the registration form, you will receive a confirmation notice sent to your email address. 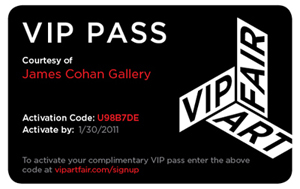 This communication includes a link that you must click in order to activate your VIP Art Fair account. Registrants for the 2011 Annual Conference in New York can now download Abstracts 2011. This publication, available as a PDF, summarizes the contents of hundreds of papers and talks that will be presented in program sessions. Reading the abstracts in advance can help you plan your daily schedule at the conference. Program sessions are alphabetized by the chair’s last name and appear in the contents pages. An index in the back of the publication names the speakers. Alternatively, use your Adobe Reader to conduct a keyword search for terms relevant to your interests. After registrants log into their CAA account, they can click the “Abstracts” image in the middle of the screen to download the PDF (1.5 MB). Abstracts 2011 is part of the registration package; there is no cost for paid or complimentary registrants. Conference attendees who purchase single-time slot tickets, or those who want Abstracts 2011 but are not coming to New York, may attain the document for a charge: $30 for CAA members, $35 for nonmembers. Abstracts 2011 will remain on the CAA website for download or sale through July 31, 2011. The following text by Benjamin Lima, assistant professor of art history at the University of Texas at Arlington, was originally published on February 13, 2007, as part of the CAA Conference Blog. At the time of writing, Lima was a PhD candidate in the history of art at Yale University in New Haven, Connecticut. For as long as I’ve known, when CAA meets in New York, it meets at the Hilton. In spite of its familiarity, however, the hotel itself has been something of a mystery to me. In honor of the 2007 Conference Blog, I wanted to find out what the internet could disclose about the Annual Conference’s triennial home. The 1963 hotel was designed by William Tabler (1914–2004), a highly prolific midcentury hotel designer, who nonetheless doesn’t make it into most capsule histories of the period. The AIA New York guide credits Tabler with a few entries, not including the Hilton. Neither Kerr Houston’s review of Annabel Jane Wharton’s book on Hilton International hotels and modern architecture, nor Wharton’s article on Hilton in the New Statesman, mention Tabler, although his firm seems to have done a lot of international work. The firm’s website has a period press photograph [no longer extant] of the New York Hilton, with the building’s base looking a lot cleaner than it does today. (It’s hard to tell if that’s an artifact of the photograph). At the online City Review, Carter B. Horsley calls the low-rise base “not at all attractive,” although he praises the tower. Great Gridlock reports on works by three artists which have adorned the hotel: Philip Pavia’s bronze sculpture Ides of March in the driveway (although the work hasn’t been there since 1988); Ibram Lassaw’s fifteen-foot Elysian Fields in the promenade; and James Metcalf’s sculpture in the lobby. This is a reminder of upper midtown’s heyday as a gallery district; around this time, Lassaw showed at Kootz, and Metcalf at Loeb. In conclusion, nominations are invited for the most appropriate actor to play William Tabler, who surely deserves at least a small part in the epic film version of CAA’s history. 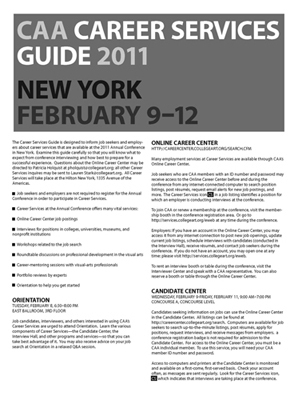 The Career Services Guide is designed to inform job seekers and employers about career services at the 2011 Annual Conference in New York. The publication, which will help you navigate Career Services events and provides answers to frequently asked questions, is available now as a PDF. Study this guide carefully so that you will know what to expect from conference interviewing and how best to prepare for a successful experience. Job candidates can review the basics of the conference employment search. Read about Orientation, the introduction to Career Services where you can ask questions, and the Candidate Center, your home base at the conference. Also, learn more about the Online Career Center, where you can search for position listings, post application materials, and arrange interviews. The guide includes tips for improving your CV, portfolio, and supplemental application materials. Employers will find details in the guide for renting interview booths or tables as well as recommendations for posting jobs and conducting interviews at the conference. You can begin preparations now for Career Services through the Online Career Center or onsite at the Interviewer Center. The Career Services Guide will also be handed out at Orientation and in the Candidate Center. All conference Career Services will take place at the Hilton New York. For more information about job searching, professional-development workshops, and more, visit the Career Services section of the conference website. CAA seeks nominations and self-nominations from individuals interested in shaping the future of the organization by serving on the Board of Directors for the 2012–16 term. The board is responsible for all financial and policy matters related to the organization. It promotes excellence in scholarship and teaching in the history and criticism of the visual arts, and it encourages creativity and technical skill in the teaching and practice of art. CAA’s board is also charged with representing the membership on issues affecting the visual arts and humanities. Candidates must be current CAA members. Nominations and self-nominations should include the following information: the nominee’s name, affiliation, address, email address, and telephone number, as well as the name, affiliation, and email address of the nominator, if different from the nominee. Please forward all information to: Vanessa Jalet, Executive Assistant, CAA, 275 Seventh Ave., 18th Floor, New York, NY 10001. Deadline: April 1, 2011. Each month, CAA’s Committee on Women in the Arts selects the best in feminist art and scholarship. The following symposium, conference sessions, and exhibitions should not be missed. Check the archive of CWA Picks at the bottom of the page, as several museum and gallery shows listed in previous months may still be on view. The art gallery of the Islamic Cultural Center of Northern California is the first San Francisco Bay Area space to specialize in Muslim artists and Islamic art. From January to March 2011, the gallery will mount three one-woman shows of work by local artists who explore the Islamic tradition of calligraphy and abstract forms. The artists’s names and dates of presentations are: Rubina Kaz, January 3–February 2; Rabea Chaudhry, February 4–March 2; and Salma Arastu, March 4–30. 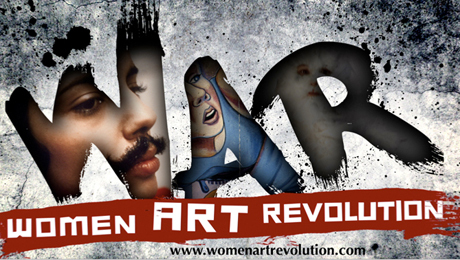 !Women Art Revolution is a documentary film exploring the feminist art movement in the United States from 1968 to the present. The filmmaker Lynn Hershman Leeson includes interviews with artists, innovators, art historians, and critics taken over a forty-year period, asking why so many female artists are little known and why museums fill their walls with the works of men. Accompanying the film is RAW/WAR, an interactive, community-curated video collection that allows users to access archival footage about the achievements and practices of women artists and to share their own stories through text, images, video clips, and links. Curated by Kathleen Walkup, Hand, Voice & Vision: Artists’ Books from Women’s Studio Workshop features forty books by thirty-six artists created over a thirty-year period. The four artists who founded the workshop—Ann Kalmbach, Tatana Kellner, Anita Wetzel, and Barbara Leoff Burge—wanted to operate and maintain a workspace that would encourage the visions of individual women artists, provide professional opportunities for them, and promote programs designed to stimulate public involvement with and support for the visual arts. The Grollier Club also presents two tandem events. On Tuesday, January 25, three of the exhibition’s artists (Clarissa Sligh, Susan Mills, and Emily Speed) will talk about their work from 2:00 to 4:00 PM. Jae Jennifer Rossman, assistant director for special collections at Yale University, will moderate the panel. On the following day, Walkup will speak on “Women Making Art: Artists’ Books from Women’s Studio Workshop” from 2:00 to 3:00 PM. The history of women in comics is well documented, and the Jewish contribution to the art form is widely acknowledged. Curated by Michael Kaminer and Sarah Lightman, Graphic Details: Confessional Comics by Jewish Women is the first museum exhibition to combine both groups in a single exhibition. Many of the original artworks on display have never before been shown in public. Among the eighteen American, European, and Israeli artists are Sharon Rudahl of Wimmen’s Comix and Aline Kominsky-Crumb and Diane Noomin of Twisted Sisters—all pioneers from the 1970s and 1980s—alongside younger artists. The exhibition catalogue was designed and published as an eight-page newspaper broadsheet. The American Institute for Conservation of Historic and Artistic Works (AIC) has appointed two new members to its board of directors. Beginning three-years terms are Ingrid Bogel, executive director of the Conservation Center for Art and Historic Artifacts in Philadelphia, Pennsylvania, and Jeanne Drewes, chief of binding and collections care in the Preservation Directorate at the Library of Congress in Washington, DC. Bogel and Drewes will help the board to implement a new three-year strategic plan that includes expanding and strengthening the organization’s core educational purposes, building awareness and advancing support of the conservation profession, and strengthening AIC’s organization and structure. Art Historians Interested in Pedagogy and Technology (AHPT) has announced two new officers: Marjorie Och, professor of art history at the University of Mary Washington in Fredericksburg, Virginia, has become president; and Sarah Scott, assistant professor of art history at Wagner College in Staten Island, New York, is secretary. The AHPT business meeting will take place at the CAA Annual Conference on Wednesday, February 9, 7:30–9:00 AM in Gibson Room, 2nd Floor, Hilton New York. Immediately following the meeting is the AHPT-sponsored session, “Technology and Collaboration in the Art History Classroom,” chaired by Och and featuring Susan Healy, Frances Altvater, Janice Lynn Robertson, and Eva J. Allen. AHPT has recently become an affiliated society of the Southeastern College Art Conference and plans to sponsor sessions at that organization’s annual meeting in addition to those at the CAA conference. 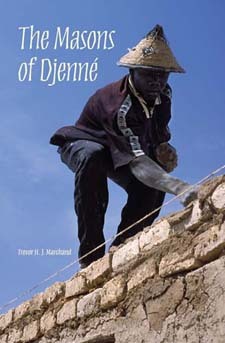 A book on African expressive culture, Trevor H. J. Marchand’s The Masons of Djenné (Bloomington: Indiana University Press, 2009), shared the 2010 Melville J. Herskovits Award, given by the African Studies Association for an outstanding original scholarly work on Africa. A member of the Arts Council of the African Studies Association (ACASA), Marchand is senior lecturer in social anthropology at the School of Oriental and African Studies, University of London. (The cowinner is Adeline Masquelier, Women and Islamic Revival in a West African Town.) Last year’s Herskovits Award was given to Sylvester Okwunodu Ogbechie for Ben Enwonwu: The Making of an African Modernist (Rochester, NY: University of Rochester Press, 2008). The Association for Textual Scholarship in Art History (ATSAH) will sponsor a session, called “Symbolism, Its Origins, and Its Consequences II,” at CAA’s upcoming Annual Conference and under the umbrella of Art, Literature, and Music in Symbolism and Decadence, a newly formed society. Taking place on Thursday, February 10, 12:30–2:00 PM, in Sutton Parlor North, Hilton New York, the session seeks to foster a dialogue among scholars on the origins and consequences of the Symbolist movement in art, literature, and music following an international conference, “The Symbolist Movement: Its Origins and Its Consequences,” held at the University of Illinois’ Allerton Park and Retreat Center in Monticello in April 2009. The CAA papers address topics that span the fifteenth through the twentieth century and cross a number of disciplines such as the visual arts, music, literature, and philosophy, with a particular focus on the different ways in which artists associated with Symbolism have engaged with artistic tradition and referred to other forms of expression in their quest to develop new forms and to illuminate the many facets of aesthetic experience. Chaired by Rosina Neginsky and Deborah H. Cibelli, the session features papers by Brendan Cole, Cassandra Sciortino, Leslie Steward Curtis, and Davide Lacagnina. Please see the Conference Program for full details. Also at the CAA conference, ATSAH will hold its business meeting on Friday, February 11, 12:30–2:00 PM at the Hilton New York, Gramercy A, 2nd Floor. All members are welcome to attend the discussion. The Association of Historians of American Art (AHAA) has announced a new board cochair: Jenny Carson, assistant professor in the Department of Art History, Theory, and Criticism at Maryland Institute College of Art in Baltimore. She assumes the role at the upcoming CAA Annual Conference. Jeffrey Weidman, senior librarian in the Spencer Art Reference Library at the Nelson-Atkins Museum of Art in Kansas City, Missouri, has provided a set of useful, extensive links, called Web Resources for American Art, which covers work up to 1945. In August, 2010, Choice magazine gave the compilation a three-star rating, highly recommending it. AHAA is sponsoring two sessions at the CAA Annual Conference in New York. Chaired by Melanie Herzog and Frances Pohl, the first, “(Re)Collecting Memory: Oral History as Testimony of Lived Experience,” takes place on Thursday, February 10, 2011, 12:30–2:00 PM, Hilton New York, Gibson Room, 2nd Floor. Participants are Avis Berman, Theresa Leininger-Miller, Margo Machida, and Liza Kirwin. The second session, “Color and Nineteenth-Century American Painting,” chaired by Peter John Brownlee, is scheduled for Friday, February 11, 2011, 2:30–5:00 PM, Hilton New York, Madison Suite, 2nd Floor. Speakers are Lance Mayer, Gay Myers, Adrienne Baxter Bell, Michael Rossi, Matthew Bailey, and Maggie M. Cao; serving as the discussant is David Bjelajac. Just before the second session is the AHAA business meeting, taking place on Friday, February 11, 2011, 12:30–2:00 PM, Hilton New York, Regent Parlor, 2nd Floor. Light refreshments will be served. All members and interested parties are invited to attend the meeting and two sessions. The annual business meeting for the Association of Historians of Nineteenth-Century Art (AHNCA) will take place at the CAA Annual Conference in New York on Thursday, February 10, 5:30–7:00 PM at the Hilton New York, Regent Parlor, 2nd Floor. Elections will be held for president, program coordinator, and members-at-large. Also at the CAA conference, AHNCA members are also invited to take part in a private visit to the New York Public Library Prints and Photographs Study Room on Wednesday, February 9, 2011, 11:00 AM–12:30 PM. The curators Stephen Pinson and David Christie will introduce highlights and rarely exhibited holdings in the library’s extensive collection of prints and photographs. Among other things, Christie plans to show prints related to the 1853 World’s Fair in New York as well as works by both well-known and not-so-famous “heroes of print.” There is no cost for AHNCA members, but space is limited. Please contact Elizabeth Mansfield before January 15 to reserve your place. AHNCA now publishes its membership directory online as a searchable PDF. The Newsletter is also sent electronically. Members who do not have email will continue to receive a hardcopy by post. 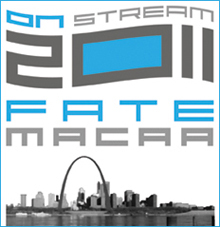 Foundations in Art: Theory and Education (FATE) and the Mid-America College Art Association, another CAA affiliated society, will present a joint conference, called “ON STREAM,” at the Ball Park Hilton in St. Louis, Missouri. Taking place March 30–April 2, 2011, the conference will explore how artists and teachers develop and foster creativity in the second decade of the third millennium. For more details, visit the FATE website or contact Jeff Boshart, conference coordinator. The Historians of British Art (HBA) will host a special panel of “Young Scholars, Works in Progress” during the HBA business meeting at the CAA Annual Conference on Friday, February 11, 7:30–9:00 AM. The meeting will be held at the Hilton New York, Bryant Suite, 2nd Floor. Informal audience discussion will follow three fifteen-minute presentations: Amanda Lahikainen, “‘British Asignats’: Satirical Representation and the Politicization of Paper Currency in 1797”; Keren Hammerschlag, “Artistic Scientists and Scientific Artists at the British Royal Academy 1860–1900”; and Emily Davis, “British Literary Periodicals Transform the Female Form in Turn-of-the-Century Glasgow.” All are welcome to attend. The Historians of Islamic Art Association (HIAA) has announced the election of Sheila Canby, Patti Cadby Birch Curator in Charge of the Department of Islamic Art at the Metropolitan Museum of Art in New York, as president-elect. 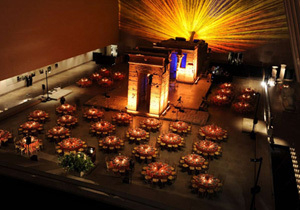 The annual majlis, or meeting, takes place at Hunter College in New York on February 12, 2011, 1:00–5:30 PM in the Lang Auditorium, North Building. Details of the program are published online. The HIAA business meeting and reception follow the presentations. The next IAWIS conference, “Imaginary/L’imaginaire,” will take place in Montreal, Quebec, this summer: August 22–26, 2011. As part of its collaboration with the conferences Media Art History and SIGGRAPH, Leonardo Education and Art Forum (LEAF) seeks participants for “Media Art History 2011: Rewire,” the fourth international conference on the histories of media art, science, and technology. The event will be held in Liverpool, England, from September 28 to October 1, 2011. The call for papers is now open. Deadline: January 31, 2011. LEAF also encourages the submission of papers and/or digitally mediated art for SIGGRAPH in Vancouver, British Columbia. In addition, selected works will be published in a special issue of Leonardo: Journal of the International Society of the Arts, Sciences and Technology. Deadline: January 14, 2011. Jim Hopfensperger of the Gwen Frostic School of Art at Western Michigan University in Kalamazoo was elected president of the board of directors at the recent annual conference of the National Council of Arts Administrators (NCAA), held November 17–20, 2010, in Austin, Texas. In addition, Kim Russo of the Ringling College of Art and Design in Sarasota, Florida, and Sergio Soave from the Department of Art at Ohio State University in Columbus, were elected to three-year terms as board members. At the upcoming CAA Annual Conference in New York, NCAA will present a session, called “‘Will You Friend Me?’ Social Media Possibilities, Responsibilities, and Challenges in Art Administration and Teaching,” on Friday, February 11, 5:30–7:30 PM. The four participants—Cora Lynn Deibler, Andrea Eis, Kim Russo, and Georgia Strange—will present a panel on the uses and abuses of social media and cloud computing in the academic environment. Also at the CAA conference, join NCAA for its annual reception on Thursday, February 10, 5:30–7:30 PM, for networking and dialogue. See the Conference Program for the exact location of the reception in the Hilton New York. NCAA welcomes current members, new members, and innocent bystanders to all events. 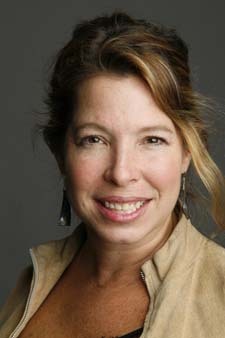 Public Art Dialogue (PAD) is pleased to announce the recipient of its 2011 Award for Achievement in the Field of Public Art: Anne Pasternak, president and artistic director of Creative Time, based in New York. PAD will honor her immediately after a brief business meeting to be held at the CAA Annual Conference, on Friday, February 11, 5:30–7:00 PM in Gramercy A, 2nd Floor, Hilton New York. On receipt of the award, Pasternak will discuss the ongoing need for activist art in the public realm. Her talk will be followed by a brief conversation with Harriet F. Senie, PAD cochair, about Senie’s favorite projects. After the discussion, audience members may join the dialogue. This meeting and award presentation are free and open to the public. PAD gives the annual award to an individual whose contributions have had profound influence on the field, and its winners receive honorary lifetime PAD membership. The artist Suzanne Lacy was the inaugural award winner, in 2009. Last year, PAD recognized the achievements of the curator Mary Jane Jacob. The latest newsletter for Public Art Dialogue (PAD) newsletter has been published online. This issue contains information about the upcoming launch of the journal Public Art Dialogue, edited by Cher Krause Knight and Harriet F. Senie, which will be available in early 2011. Subscription to Public Art Dialogue—at a discounted rate—is a benefit of organizational membership. 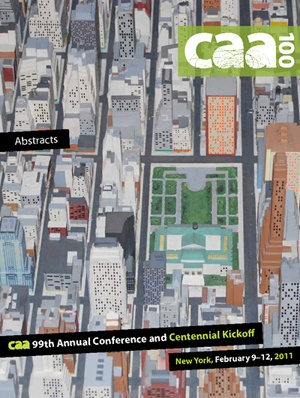 The newsletter also details the inaugural PAD Portfolio Reviews, to be held during the CAA conference in New York. For further information, please write to Juilee Decker, PAD membership coordinator. Celebrate the tenth birthday of the Radical Art Caucus (RAC) with a slice of cake at the annual reception, held at the CAA Annual Conference on Friday, February 11, 5:30–7:00 PM; see the Conference Program for the exact location. RAC will also discuss questions of unions and academic labor and make strategic plans for CAA’s 2012 and 2013 meetings. Don’t miss the RAC-sponsored sessions: “Video Art as Mass Medium,” chaired by Benj Gerdes and Nate Harrison; and “Environmental Sustainability in Art History, Theory, and Practice,” organized by Travis Nygard, RAC copresident. Look out for updates on the RAC Facebook page or contact Joanna Gardner-Huggett, RAC secretary, if you have any additional questions or news to share. 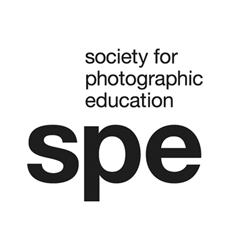 The Society for Photographic Education (SPE) forty-eighth national conference, called “Science, Poetry, and the Photographic Image,” will examine the confluence of the ideologies of scientists and poets in the context of photography. To be held March 10–13, 2011, at the Sheraton Atlanta Hotel in Georgia, the conference will feature presentations from artists, educators, historians, and curators, as well as one-on-one portfolio critiques and informal portfolio sharing, a print raffle and silent auction, and film screenings, exhibitions, tours, and receptions. Speakers include Abelardo Morell, Catherine Wagner, Carolyn Guertin, Justine Cooper, and more. Student volunteers receive discounted admission. Registration opened on January 11, 2011, for the Society of North American Goldsmiths (SNAG) conference, “FLUX,” taking place May 26–29, 2011, in Seattle, Washington. Hosted by the Seattle Metals Guild and sponsored by Rio Grande, the conference includes two important programs with conference registration: the Education Dialogue, a three-hour session that gives educators a place to discuss the current issues they are facing in academia; and the Professional Development Seminar, a three-hour event providing concrete information that will change the way you approach your work and the way you do business. Review the full conference schedule, available as a PDF. Register now for the Demo Days preconference workshops produced by the Seattle Metals Guild; only eighty tickets will be sold. Student, educator, and guild registration grants and discounts are available. For more information, please write to SNAG. The Visual Resources Association (VRA) and the Art Libraries Society of North America (ARLIS/NA) will hold their second annual joint conference March 24–28, 2011, in Minneapolis and St. Paul, Minnesota. With the theme “Collaboration: Building Bridges in the 21st Century,” the conference will provide a two-in-one opportunity for attendees to obtain cutting-edge information about current trends in the book and image realms. In addition to pertinent sessions, exhibitions, and workshops, the full schedule includes several exciting events that are planned throughout the culturally vibrant Twin Cities. Experience an Italian Renaissance architectural gem by attending the fundraising “Founders’ Fête” at the historic Gale Mansion. Afterward, the Minneapolis Institute of Art will open its doors for attendees to view the exhibition, Titian and the Golden Age of Venetian Painting: Masterpieces from the National Galleries of Scotland. The welcome party, called “The Icebreaker,” will take place at the Walker Art Center. Conference attendees can also experience artists’ collaboratives focused on book arts, printmaking, and ceramics or take architectural tours. Join the Women’s Caucus for Art (WCA) for its 2011 annual conference, “LIVE SPACE: women + art + activism,” with events running concurrently with the CAA Annual Conference in New York. For a morning of networking, sharing work, performances, videos, and panels, please visit the WCA Live Space Confab on Thursday morning, February 10, 2011, 8:00 AM–NOON at the Hilton New York, New York Suite, 4th Floor. Later that day (5:30–7:00 PM), head uptown for the artists’ reception for Sanctuaries in Time, an exhibition of the Jewish Women Artist Network (a WCA caucus) at Columbia/Barnard Hillel, Kraft Center for Jewish Student Life, 606 West 115th Street. The show is on view January 21–March 1. Also on Thursday, the Young Women’s Caucus will present What Young Women Artists Want at Raandesk Gallery of Art, 16 West 23rd Street, 4th Floor (7:00–9:00 PM). This event will showcase independent films from members and allies of the Young Women’s Caucus, a moving canvas of theater pieces in a collaborative gallery setting, and outdoor flash mob art performances. From 6:00 to 9:00 PM, a reception for Control, a traveling exhibition from WCA’s South Bay and Peninsula chapters, will be held at Ceres Gallery, 547 West 27th Street, Suite 201. On Friday, February 11, New Century Artists will host a reception for Hidden Cities, the WCA national juried exhibition, that will take place 7:00–9:00 PM at the gallery at 530 West 25th Street. Lisa Phillips, director of the New Museum of Contemporary Art in New York, juried the exhibition.